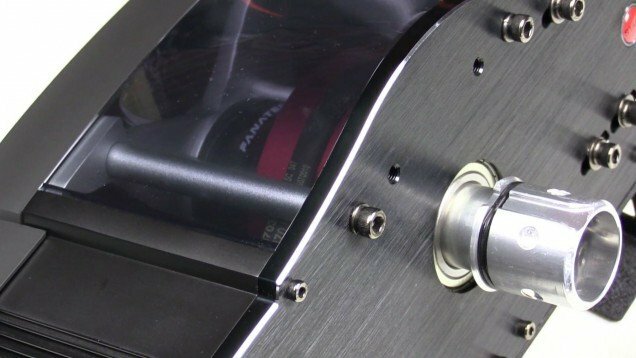 Presenting our review of the Fanatec ClubSport Wheel Base V2 Servo for the PC and PlayStation 4. The base can be purchased from Fanatec for $599.95 in the US or 749.95€ in the EU. As the name suggests, this is the updated version of the original CSW V1 that came out a few years ago. 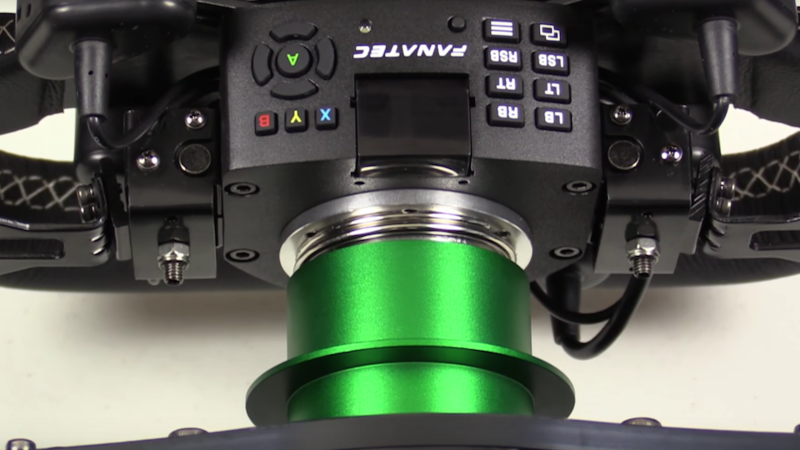 Fanatec says that the V2 is not only stronger and smoother than the V1 but is more reliable. What’s also different from the V1 now is that Fanatec offers a plethora of wheel options thanks to the Universal Hub and new Universal Hub for the Xbox One. There are also a handful of wheels that feature integrated buttons, paddles and quick connect hub. Fanatec sent the Xbox One compatible hub along with the CSW V2. The hub retails for $299.95 / 349.95€ or $399.95 / 479.90€ when paired with a rim. Speaking of the Xbox One, we’re going to cover how this wheel performs on the Xbox One in a later review. If you aren’t planning on racing on the Xbox One, the now discontinued standard hub can be purchased for $169.95. It’s essentially the same as the Xbox One hub but it only allows you to use the CSW V2 on the PC, PS4 and PS3. Back to the wheel base, and the first thing you notice is it still sports the same attractive exterior as the V1. It truly is form follows function and sports a lot of aluminum and a heavy-duty plastic casing. This attractive look is also bolstered by little touches such as the black aluminum front plate with machined edges, illuminated START button and the now tinted acrylic cover that allows you to look at the belt driven internals. The backside of the base features a new cooling fan, along with a hidden I/O featuring power, USB, and connections for pedals, hand brake, H-pattern shifter and sequential shifter. It not only supports all of Fanatec’s peripherals but can also support Logitech pedals with an optional adapter. The base also comes with a 20o stand to give the wheel some rake if you prefer. The stand, along with the base, can only be hard mounted, which is the way to go for a higher end wheel like this. The wheel still features 900o of rotation via the updated brushless servomotor. The belt mechanism has also been updated, and is now tighter to eliminate slipping and has new bearings to minimize drag. The wheel also features DirectSensor and DUAL HALL technology, both of which improve precision measurement of the wheel’s position and eliminates interference issues. Following the bases’ lead, the hub is another exercise in form follows function. It utilizes a lot of metal and durable plastic, which is very noticeable once you pick it up and feel the weight. The hub uses a 70 mm hole pattern for rims, meaning it will accept a plethora of Fanatec and non-Fanatec rims. Now that we know what we’re working with, let’s talk about how the CSW V2 base and Xbox One hub performed on the PC and PS4. Naturally, the wheel is supported by all the primary PC titles. On the PS4 it’s only supported by Project CARS and F1 2015, and soon WRC 5, and you must use the PS4 controller to navigate to the game. Once in game though, the hub becomes usable. Once driving, we were pretty impressed with the CSW V2. Not only does it have strong FFB – in spite of the heavy hub – but it’s delivered very smoothly. It really did make some titles – like F1 2015 on the PS4 for example – come alive. The wheel is very precise, with no deadzone or slop. A couple things that we didn’t care for though was the difficult to reach I/O panel and that the wheel only supports 8-bits of pedal resolution when plugged into the base, which doesn’t cut it if plugging directly into the PC isn’t an option for you. We would have liked to seen this upgraded from the V1 to 10-bits. The only exception to the rule is the ClubSport Pedals V3’s, which register 10-bits when plugged into the CSW V2. One of the nice features of the base and hub combo is the ability to be change wheel settings on the fly. Settings such as degree of rotation, ffb strength, ABS, deadzone, wheel force, drifting and more can be changed via the hub quickly and easily. It’s also nice to have the screen to see telemetry info while driving. We also really liked the feel of the hub. 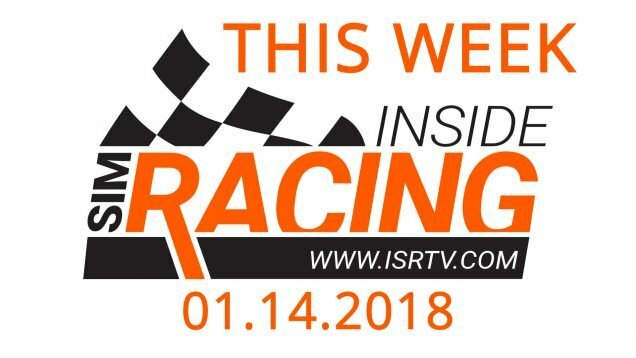 It sports what we think are the nicest buttons in sim racing, which not only look great but also have a really positive click. Same goes for the paddles, which also feel very positive. Another nice feature is the hub is the ability to customize it. Not only can it accept multiple rims but also the button boxes can be moved around to better fit the rims. The paddles also feature a lot of adjustability and come in two flavors, large and small, depending on what size wheel you’re using. Another minor issue we have with the base/hub combo is the quick release mechanism. While the V2 quick release eliminates the pin from the V1, it’s a very, very tight fit. You have to really make sure you’re lined up, and even then, it takes some muscle. With this said, it does raise the question of whether or not the quick release is really necessary? Sure it looks cool, but unless you have multiple expensive hubs or the BMW and/or the Formula rim with integrated quick releases, it’s not doing you any favors. For example, when we wanted to change rims, we had to pull the hub off, take out the bolts, take off the old rim, then remove the four bolts on the backside of the hub to allow access to the button boxes, loosen those up, move them, check to make sure they’re aligned with the new rim, re-tighten, put the hub bolts back in, grab the new rim and attach it. There’s nothing quick about that. Since buying multiple rims for the hub is the most economic route to go, this is probably how many of you will change your wheels. 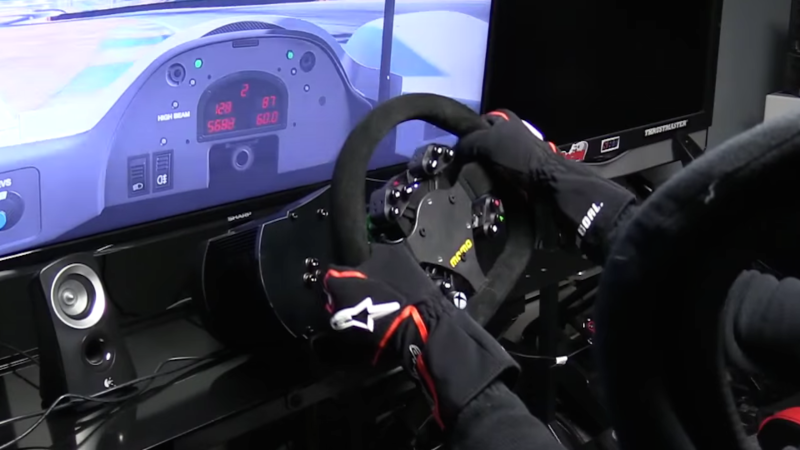 We would like to think that Fanatec could save a lot of money for not only themselves, but also their customers, by ditching the quick release. Can plug shifters in directly and with a Basher Boards adapter, you can even run the Thrustmaster TH8 shifters and others. The Fanatec ClubSport Wheel Base V2 is certainly a good wheel. We believe that the strength of the force feedback and the smoothness of the belt-driven motor justify the steep price. What’s a little tougher to justify is the whole package once $400 worth of Universal Hub for the Xbox One and rim is added. While we really like the hub, it is expensive. With that said, the recently released CSL rim does ease some of the sticker shock and may be the best bang for your buck. The CSW V2 is in a segment of it’s own in regards to pricing and performance. 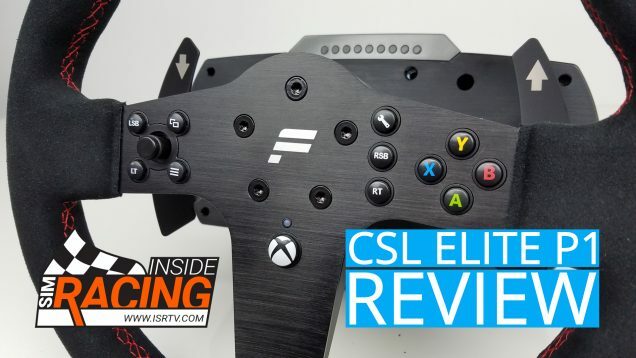 It fits comfortably between consumer wheels from Thrustmaster and Logitech, and, high-end wheels from the SimXperience and Frex’s of the world. While the wheel feels a middle space in the market, it should really only be considered by those who are serious about PC sim racing, and may also like to fire up the console from time-to-time. Between the price and only 8-bits of resolution for the pedals when plugged into the base, buying a CSW V2 for only console racing would be a bit overkill. 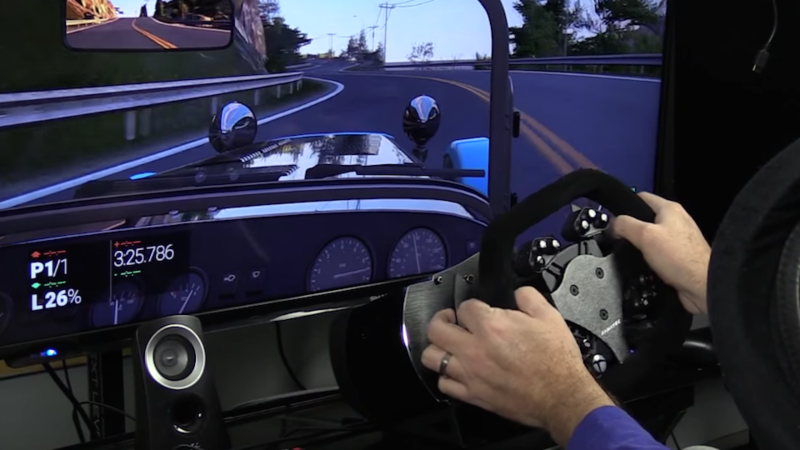 But if PC sim racing is your hobby of choice, then the Fanatec ClubSport Wheel Base V2 should certainly be looked at.